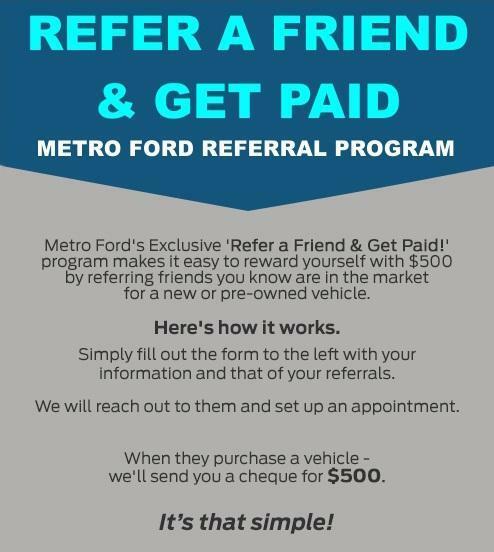 Refer a Friend and Get Paid | Metro Ford Sales Ltd.
2018 Clearance - Make an Offer! 4.4 ★ on Google - check out our reviews! 1) The Metro Ford Referral Program rewards qualified customers with $500 cash. 2) Customer must be referred through this webpage before they visit Metro Ford to purchase a vehicle. 3) Customer must purchase within 30 days of referral submission. 4) The buyer must be a first time Metro Ford Sales customer. 5) To qualify, the buyer must make a retail purchase or lease at Metro Ford Sales. 6) Management reserves the right to modify the program at any time. The Metro Ford Referral Program rewards qualified customers with $500 cash. 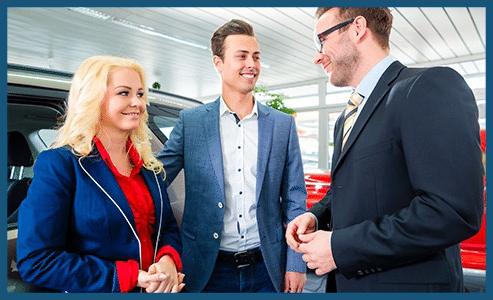 Customer must be referred through this webpage before they visit Metro Ford or purchase a vehicle. Customer must purchase within 30 days of referral submission. The buyer must be a first time Metro Ford customer. Metro Ford Staff are not eligible for this referral program. To qualify, the buyer must make a retail purchase or lease. Management reserves the right to modify the program at any time.